The International Hot Rod Association™ (IHRA) and IRG Sports + Entertainment™ are excited to announce that Spokane County Raceway, located in Airway Heights, Washington just outside of Spokane, has become IHRA’s newest member track and IHRA’s first on the West Coast, effective 2015. Spokane County Raceway (SCR), which boasts one of the largest motorsports facilities in the northwest, will instantly become an important hub for the IHRA as the sanctioning body looks to make its presence felt for the first time in the western half of the United States. In addition to providing a number of new and exciting options for area racers, plans are already in place to add IHRA’s most popular series, the Nitro Jam Drag Racing Series, to the SCR calendar in 2015. The exciting nitro-powered IHRA series features professional competition in a number of fan-favorite classes including nostalgia Nitro Funny Car, Nitro Harley, Pro Stock, Jets and, special to this event in 2015, 10,000 horsepower, 320 mph Top Fuel Dragsters. All of that will take place in addition to a full weekend of sportsman competition. And to add to the excitement, the entire Nitro Jam Drag Racing Series event at Spokane County Raceway will air as part of IHRA’s national television series in 2015. Not since the mid-1980s has Spokane County Raceway played such a pivotal role in hosting a national drag racing championship as it will with the IHRA’s Nitro Jam Drag Racing Series. “We are thrilled to welcome Spokane County Raceway to the IHRA member track family. Spokane is a great track with a dedicated racer base and a facility that is second-to-none in the northwest,” said Scott Gardner, President of IHRA Motorsports. “Over the past few years the IHRA has enjoyed a great deal of growth and expansion. We have seen the IHRA become a dominating force in Canada, make a shift to the southwest with our company-owned track in Arizona and we have added other facilities in New Zealand, the Bahamas and other parts of the world. By partnering with the IHRA, facility General Manager Craig Smith hopes to provide a foothold in bringing IHRA drag racing to the western United States while providing his racers and fans with more racing opportunities in the years to come. Over the past two decades, the International Hot Rod Association has made major headway in bringing its motorsports programs to the world. Currently, the IHRA sanctions more than 100 facilities in 31 states, five Canadian Provinces and five countries. With the addition of Spokane County Raceway, the IHRA now hopes to see even more growth in the one area of the country that its presence is currently not strongly felt. 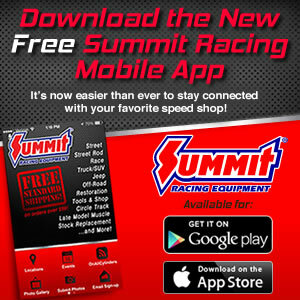 With it, IHRA hopes to bring its extremely popular Summit Racing Equipment sportsman programs to a brand new audience. And to further assist in the crossover to IHRA, many of the IHRA sportsman classes and rules closely resemble those racers are already familiar with. In addition to the great new options for racers, spectators will enjoy the debut of the Nitro Jam Drag Racing Series in 2015 as the best racers in North America travel to Washington next season. Details on the 2015 IHRA Nitro Jam Drag Racing Series season will be announced later this year. Founded in 1974, Spokane County Raceway features a quarter-mile drag strip, a paved oval, road course, mud drags and more. Spokane County, which owns the 315-acre facility, purchased the track in 2008. For more information on Spokane County Raceway visit www.racing.sc and for more information on the IHRA and its programs, visit www.ihra.com.